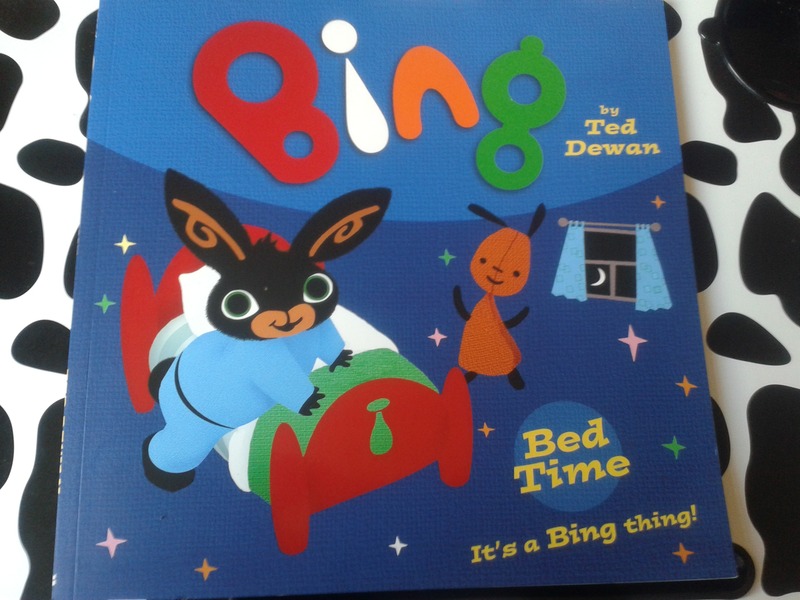 This month D has been finally getting into and staying in his own bed at night, he has started reading Bing Bedtime every night and will always choose the book for his bedtime story. The book is all about bedtime and the routines children have when going to bed. Bing like any of our children doesn't want to get ready for bed yet, he still wants to play with many of his toys and activities. However once bedtime begins Bing really loves to follow his routine and takes you and your child through his very own routine and order of doing his bedtime activities. Bing has Flop his bunny who is always there to help when he needs anything. Bing completes tasks before bed such as bath time, brushing his teeth and going to the potty among other tasks. The book teaches children about getting ready for bed. As we are reading the story we ask D if he has completed each task before he got into bed. I love the bedtime interaction this story brings with it, there are so many things we can talk about during the story. There are a good collection of Bing books available, we will certainly be looking out for other Bing stories we might enjoy. 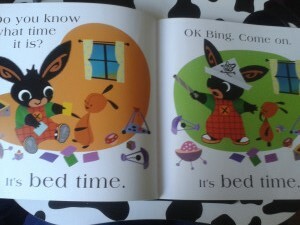 Bing Bedtime is available in many book stores in the UK and is available on Amazon for around £6.99.